Hello guys, the moment you all have been waiting for, is finally here. Remember when last i told you guys that come on the 5th day of April 2018, Tecno Mobile will be adding a new set of two new devices to its Tecno Camon lineups. 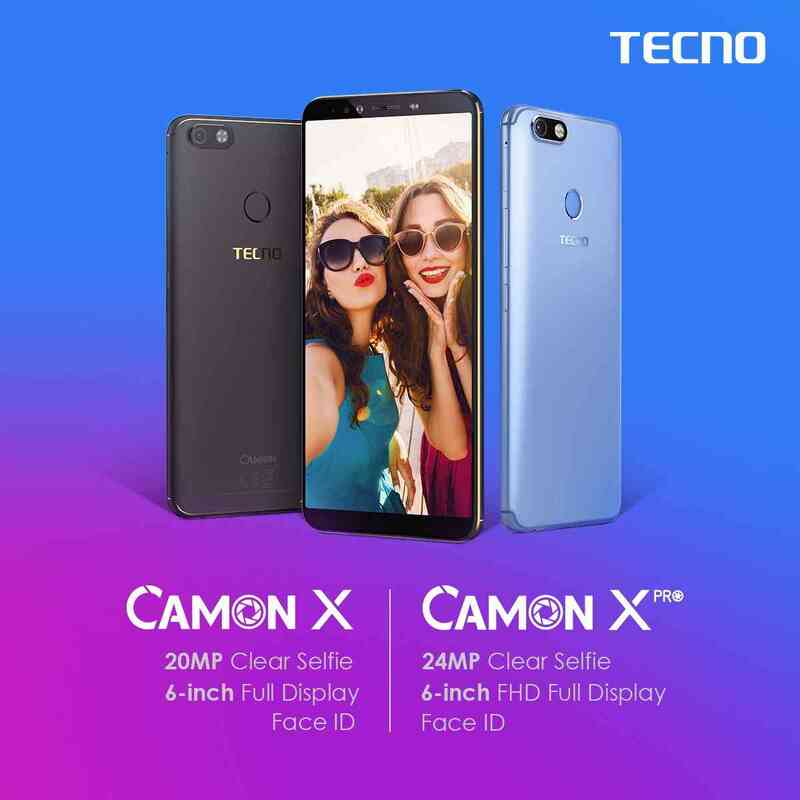 Well the day and time is finally here, and today, Tecno fulfilled that promise to us by launching the Tecno Camon X, and the Tecno Camon X Pro. From the names, you should be able to tell which one is bigger than which. So the Camon X Pro is superior to the just Camon X, with the only difference being a bigger 24mp front facing camera on the X Pro, against the lower, but still mind blowing 20mp camera on the X. Another difference is in the RAM and Internal storage sections respectively. The X Pro ships with a higher 4GBs of RAM, and a 32GB of onboard storage, while the X humbles itself to a 3GB, 16GB arrangement. Apart from those stuffs listed above, everything else remains the same on the both devices. Both have a 16mp back facing cameras with quad flash, comes with face ID, Android 8.1 Oreo out of the both, with the new Tecno's own HIOS 3.0 skin on top of it, a mediatek helio P23 octa-core processors for both, as well as a 6inch screen, with the now common 18:9 aspect ratio for both, and then finally, a 3750mAh power battery to keep those things in the run. But Note: That the Camon X Pro ships with a much higher 2160 × 1080p FHD (Full HD) display, while the X has a lower normal 1280 × 720p HD display. So guys, that is all that there is to the new Tecno Camon X smart phones, right now, we've not been able to get our hands on the device, and that is why we can't give indepth details of them both, but as soon as we do, we promise to be giving you guys a full detailed and Indepth review of the devices. So stay tuned, and make sure you subscribe to our newsletter to get notified of the review when it drops. But right now, we'll be calling it a day here. so have a nice day, and keep reading.